AP ICET Hall Ticket 2018 will be released in the month of April 2018. Candidates who applied for AP ICET 2018 are eagerly waiting for the AP ICET Admit Card 2018. So this article we provide the official website www.sche.gov.in where you can download the AP ICET Admit Card 2018. 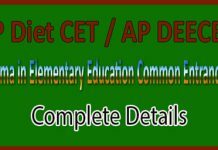 AP ICET stands for AP Integrated Common Entrance Test. Andhra Pradesh ICET Examination is for the candidates who are wish to join in MBA/MCA Regular Courses. As the AP ICET exam date is already announced which is on 2nd May 2018, the AP ICET Hall Ticket will be released by the government as early as possible. Name of Organisation Andhra Pradesh State Council of Higher Education. 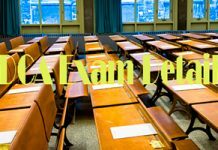 Name of Exam AP Integrated Common Entrance Test 2018. Course Name MBA & MCA. Admit Card Status April 2018 onwards. Exam Date 02 May 2018. 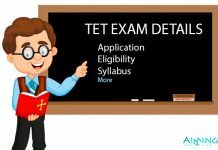 AP ICET Admit Card 2018 is mandatory for the ICET Examination. 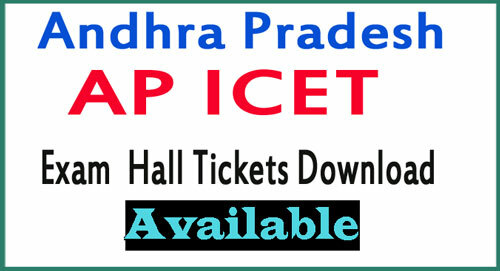 Candidates who going to attend the Andhra Pradesh ICET Exam should carry the AP ICET Hall Ticket 2018. Without the APICET Admit Card you will not be permitted for the Exam. After downloading the AP ICET Call Letter from the site, please check whether all the details provided are correct or not. Date and Time of the Examination. AP ICET Exam Centre Address. Applicant Photograph and Scanned Signature. And also check the details of Exam date, Time of the exam and Venue of the exam. The Candidate must visit the official website of AP ICET, i.e., www.sche.ap.gov.in. Then search for the Admit Card, it is available on the Top of the Home Page. Then a new Page will display. In the New Page, Search for the AP ICET Admit Card 2018. Next, Click on the Admit Card Link. Enter your AP ICET Application Number. Enter the applicants’ Date of Birth as per SSC. Now, AP ICET 2018 Hall Ticket will display on the Screen. Print option is available there. Finally, Click on the print Button and take your AP ICET Exam Call Letter Print. In this article we are going to provide the link to download the AP ICET Hall Ticket 2018. Will soon we update the AP ICET Counselling Process for your ease. So keep watch our site regularly. Thank you for visiting our site @ www.aiming.in.